Peel Away®1 Heavy Duty Paint Remover has been the #1 Choice of Professionals who perform Historic Restoration and Lead Paint Abatement for over 25 years. The Peel Away®1 System “Now” includes Citri-Lize™ Neutralizer, pH Test Kit, Peel Away Paper, Alkaline Paste, Peel Away Tool and Simplified Instructions for all customer types. Peel Away®1 is an environmentally safe method for removing up to 30 Coats of oil-based lead paints in a single application. By keeping the lead paint in a wet state, no airborne lead dust is generated. This water-based, zero VOC formulation contains no flammable solvents, no harmful odors or toxic fumes, making the product ideal for interior and exterior applications when removing paint from Wood, Brick, Plaster, Stone, Metal and more. 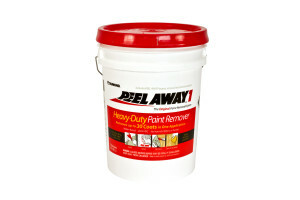 Peel Away®1 Heavy Duty Paint Remover is excellent for removing old coatings from intricate, carved or molded surfaces. 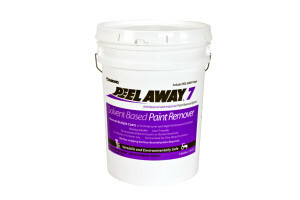 Peel Away® 7 Solvent-Based Paint Remover safely removes multiple coats of paint and varnishes from decorative hardwoods without discoloration or raising the grain. This user friendly formulation does not contain methylene chloride or toxic chemicals. Peel Away® 7 Solvent-Based Paint Remover effectively removes most High Performance and Elastomeric coatings, it is safe for use on any interior or exterior application, and is Ideal for Historic Restoration and Lead Abatement Projects. Smart Strip™ Advanced Paint Remover is a revolutionary Paint Remover is the safest, most effective, and environmentally friendly method to remove virtually any coating from any surface. This versatile product can remove up to 15 Coats in a single application that can be brushed, rolled or spray applied. Smart Strip™ Advanced Paint Remover is user friendly, 100% Biodegradable, Odor Free, Zero VOC, and does not require neutralization. This customer-driven technology to simplify paint removal projects has given contractors an alternative to complex, costly and time-consuming removal methods addressing a vast range of high performance coatings and surface combinations, providing End-Users with an efficient solution to daunting jobsite challenges. 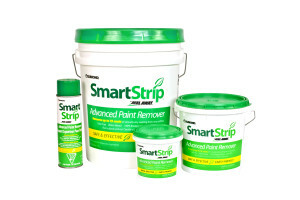 Smart Strip™ PRO Professional Strength Paint Remover is a Professional-Strength Paint Remover that effectively removes High Performance Coatings and Lead Paint. It is formulated without methylene chloride and is non-carcinogenic, non-caustic, and non-flammable. This water-based stripper will effectively remove multiple coats of oil-based, water-based, acrylics, varnishes, epoxies, urethanes, elastomeric and lead paint from any interior or exterior surface (wood, brick, stone, concrete, plaster, metal, plastic, glass, fiberglass, etc.). 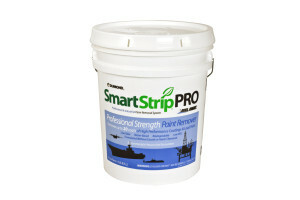 Smart Strip™ PRO Professional Strength Paint Remover delivers the superior performance professionals are looking for when removing even the most difficult coatings. This product is low VOC, low odor; biodegradable and user friendly. LEAD STOP™ Lead Encapsulating Compound is a thick elastomeric coating that is made to be a long lasting barrier over lead-based paint. When applied according to directions, LEAD STOP® provides a protective barrier coat that seals and locks in lead that is contained in old lead-based paints on previously painted surfaces. LEAD STOP® has earned a seal of approval for lead abatement from D.L. Litter Laboratories and the Commonwealth of Massachusetts Encapsulation Product Performance Protocol, Department of Public Health (Reg. #DL-10019) and meets the requirements of the US Department of Housing and Urban Development (H.U.D. ), which spells out a 20-year manufacturer’s warranty. Dumond® Laminated Paper is one of the most respected and widely used environmentally friendly lead-based paint removal products in the world. The Dumond® Laminated Paper is a patented laminated paper that extends the dwell time for all Dumond® paint removal products. Dumond® Laminated Paper comes pre-packaged in our Peel Away® 1, 2 and 7 kits. However, depending upon your application and project you may find it desirable to purchase additional Dumond® Laminated Paper to be used in conjunction with other Dumond® products as well. Dumond® Laminated Paper is critical to a paint removal project’s success on hot days and where extended dwell times are necessary to remove all coatings. Dumond® Laminated Paper keeps all Dumond® products from drying out, and thus becoming ineffective too quickly. 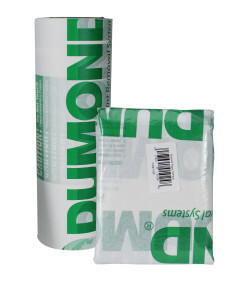 Dumond® Laminated Paper reduces the wrinkling, or tenting, that occurs when doing a stripping project thus keeping the remover in contact with subsequent coatings until reaching the bare substrate. With these projects in mind, the product is packaged in a 3 pack/30 square foot, 10 pack/100 square feet and a 13″ X 300′ rolls for larger projects. Watch Dog™ – Wipe Out Porous Surface Graffiti Remover under the Watch Dog® Brand of Graffiti Control Products was formulated to effectively and easily remove existing graffiti from porous/unpainted masonry surfaces. Dissolves graffiti in 15-30 minutes; providing maximum speed and performance without surface damage. This new technology salvages the substrate and avoids traditional damages that occur during the removal process by harsh chemicals, scrapping, grinders and blasting techniques. Wipe Out Porous Surface Graffiti Remover is a safe, non-drip, environmentally friendly formulation. Apply, agitate and wipe/rinse clean – Works in minutes! Watch Dog™ – Lift Away® Smooth Surface Graffiti Remover is a water-based formulation which is low odor, non-toxic, biodegradable and environmentally safe. Watch Dog™ Lift Away® Smooth Surface Graffiti Remover has been designed specifically to simplify the graffiti spray paint removal process on smooth surfaces such as glass, terrazzo, metal and other non-porous surfaces. 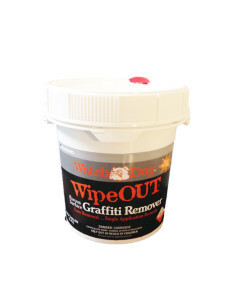 In most cases Watch Dog™ Lift Away® Smooth Surface Graffiti Remover will remove the graffiti in under a minute. Watch Dog™ Lift Away® Smooth Surface Graffiti Remover covers approximately 150-250 square feet per gallon. 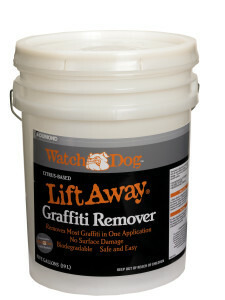 Watch Dog™ Lift Away® Smooth Surface Graffiti Remover is available in an Aerosol, Gallon and Five Gallon containers. Protects landscaping while removing paint, pressure washing, scrapping, and painting; catches paint chips, stain flakes, and more. Reduces clean-up time, expense, and environmental impact, leaving a cleaner, safer area for kids and pets. Dumond® Catch-N-Cover Microfiltration Membrane is breathable, permeable, and reusable, collecting jobsite debris while safely covering and protecting plants. Catch-N-Cover is ideal for all Customer types; DIY, Professional, and Industrial End-Users reducing clean-up time, expense, and environmental impact during exterior renovations. The Catch-N-Cover Microfiltration Membrane protects landscaping while removing paint, pressure washing, scrapping, and painting; catches paint chips, stain flakes and more enabling air, wind, and water to filter through and drain easily while collecting debris. Packaged size is 11’ x 20’.